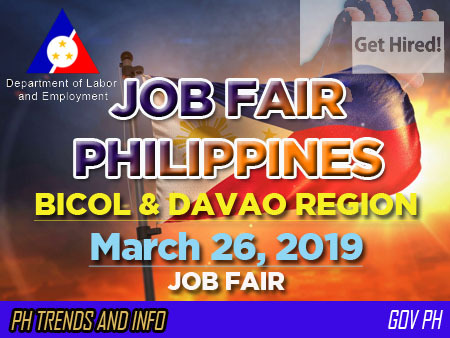 Job Fairs - This is an employment facilitation strategy aimed to fast-track the meeting of jobseekers and employers/local and overseas recruitment agencies in one venue at a specific date to minimize cost, time, and effort particularly on the part of job applicants. If you feel this post is helpful, and we find your support to this post, we'll be more aggressive on updating Job Fair Post on this site from time to time. Thank you.